The clock is counting down. This time next week I'll be in Italy. No, I haven't started to pack. I'm too busy with my last-minute Italian genealogy research. Yes, there will be plenty of time for Mediterranean beaches, Tuscan hill towns, and countless museums to past civilizations. But there will also be a bit of family history. I cannot wait! Well, I sort of can. 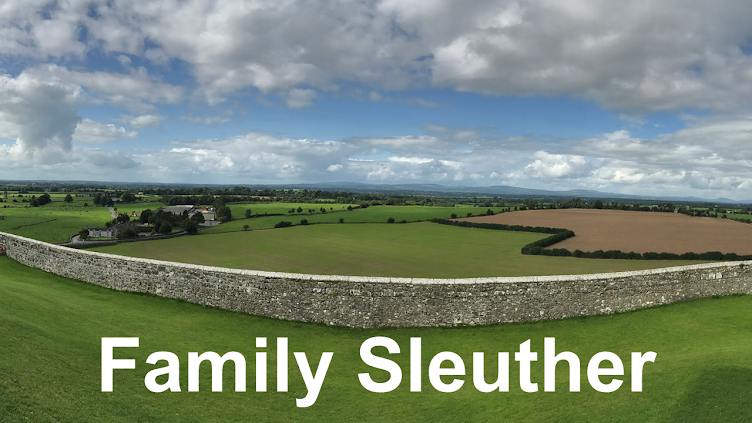 You see, I've been fighting a race against the clock to identify key genealogical information that will make the family history portion of the trip more rewarding. 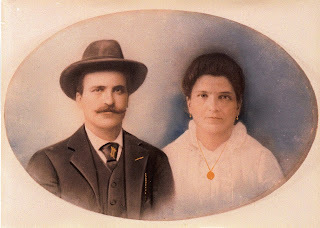 My great-grandmother's parents, Giuseppe and Maria (La Rocca) Ruoti, were both born in the comune of Potenza in southern Italy. Could I locate their birth records and identify the church where they were baptized? What about their parents? Could I identify the church in which my 3rd great-grandparents were married? How cool would it be to step foot in the same church where my family history was made? My challenge: would the documents exist to help me identify these locations? With less than a week before I depart, would I be able to gain access to these materials? I turned to FamilySearch.org, my go-to database for Italian records. Happily, they had Civil Registrations online for births, marriages, and deaths covering the years 1866-1910. Those records yielded Maria La Rocca's birth record (born in 1875) and death records for both of her parents. Unfortunately, this set of civil registrations didn't mention baptism or funeral locations. There were no clues to which churches hosted these solemn events, and there was no birth record in this database for Giueseppe who was born in 1864. Another FamilySearch database caught my eye. Potenza Civil Registrations from the State Archives covering the years 1697-1923. Did you say 17th century records? Yes, please! I clicked on the link and watched as the page loaded my worst nightmare. The clock continued to tick. My heart sank. I'd come to the end of the research road within the comfort of my home. I would have to venture out (or, I suspect, convert to Mormonism). The hyperlink pointed me to the family history center in Washington, DC: the Daughters of the American Revolution. I cleared my Saturday schedule to make way for hours of Italian genealogy research (does DAR allow Chianti in the research room, I wondered?). When I arrived at their computer labs, I was quickly disappointed to discover that their logins do not satisfy the family history center criteria necessary to gain access to Potenza's records. My heart sank, again. Access to the records remained just out of reach. The records were taunting me! Back at home, as I nursed my disappointment, it occurred to me that perhaps the records were digitized and available to Italians on an Italian website. A press release announcing FamilySearch's efforts to digitize millions of Italian records pointed me to the website for Italy's National Archives. I was elated (and relieved). Records could be viewed online for free. Now. At home. Grazie mille! Back in full research mode, I started trawling through the records - glorious in all of their black and white imagery. Within an hour, I located the birth and baptism record for Giuseppe Ruoti. My Italian family history road trip now has a site of interest. Giuseppe was baptized in Potenza's historic chiesa San Michele, which dates back to the 12th century. Now I'm ready for Italy. The clock can continue its countdown. Ciao!